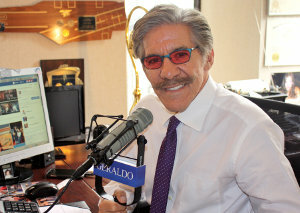 Geraldo responds to Kendrick Lamar’s new album ‘DAMN’ where the popular rapper appears to be throwing shade on his third song “YAH.” The second verse, Lamar names Fox News and Rivera directly: “Fox News wanna use my name for percentage/My latest news in my niece, she’s worth livin/See me on the TV and scream ‘That’s Uncle Kendrick!’/Yeah that’s the business/Somebody tell Geraldo this n*gga got some ambition.” This is no doubt a response to Geraldo’s critique of Lamar’s 2015 BET Awards performance with cop killer lyrics “We hate po-po/Wanna kill us dead in the street fo sho” standing atop a vandalized police car with the American in the background. 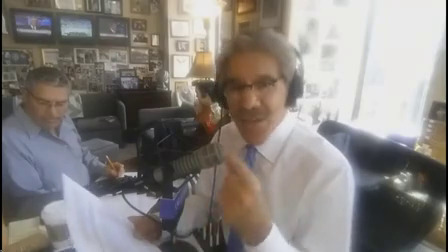 At the time Geraldo said on ‘The Five’: “this is why I say that hip-hop has done more damage to young African Americans that racism in recent years…. It is so wrong, it is so counterproductive, it gives exactly the wrong message.” Lamar plays the clip on his second song DNA. Geraldo discusses his opinion of the song, the artist and where he stands today,. Listen to the clips.